Jan Anderson, M: 402-720-6402, jan@donpeterson.com, www.donpeterson.com - WOW! Great location & fantastic value on 1700 sq. 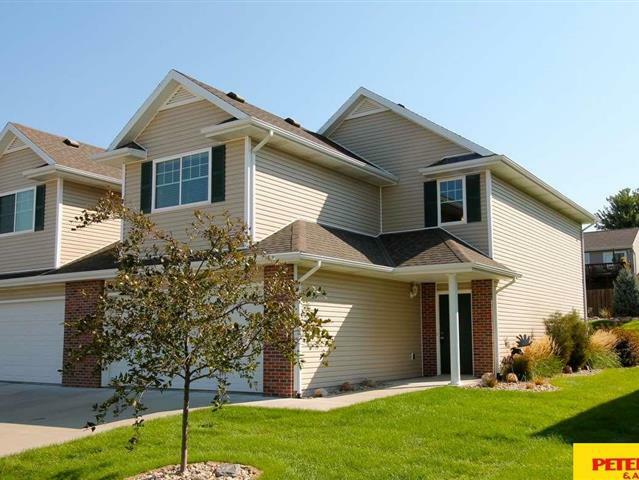 ft. meticulous townhome in Millard Park. Kitchen upgrades, granite counter tops, maple cabinets, stainless steel appliances. 2 car garage w/openers, patio, 11 x 26, maintenance free exterior, sprinkler system and professionally landscaped. Assessment is for lawn care, trash pickup & snow removal.